Happy New Year! On behalf of the entire team here at Rocco & Associates, we hope you all had a wonderful holiday season and wish you health, wealth and continued prosperity for 2014! As most of you know by now, we moved our office across the street in late November and are just about settled in. Our new address is 1248 Post Rd, Fairfield, CT. You will find a private parking lot with our main door just steps from your vehicle. Charlie and Eric have even equipped our new conference room with a large flat screen TV to provide picture perfect quality for our in-office presentations with clients and investment company partners alike. We are planning on hosting an Open House in the spring so you can all come by and have a look at the new space, I am confident it will feel just as inviting and comfortable as the old space with a lot more natural light. As January roles on by, all of us will begin to receive the necessary documents to file our annual taxes with the IRS. These end of year documents can be a great way to once again reevaluate your goals, risk tolerance and time horizons. After any market event, it is always a good idea to look at your portfolios and reposition assets to insure that your plan stays on track. Questions will no doubt arise and we encourage you all to call the office to discuss and/or set up a time to come in so we can review with you. Our strategic plan for 2014 has been completed and we are excited to build on some of our successes from 2013. This will include the continuation of our Round Table events as well as several educational seminars. The seminars will attempt to give you and perhaps a friend, relative or co-worker more than just one reason to attend. We have developed these seminars around the idea of partnering with a secondary business whose message or goods and services may also be of interest to you. Keep your eyes peeled and your inbox checked for upcoming invitations. Even before Charlie and Eric joined the team, the office had begun to take certain steps to do our part in reducing the amount of paper correspondence that we and our clients found wasteful. Making our communications paperless reduces our environmental footprint and lowers the cost of doing business, which will benefit our clients as well as the firm. One of our goals for 2014 is to eliminate as much paper correspondence as we can for those clients that want to. The communications that are being reformatted are the LPL Financial statements (through account view), our Financial Strategy Review and Client Satisfaction Survey, frequently used forms using signature, our educational client pieces, and event invitations. Of course, if you still would like to receive anything from us in paper format you can continue to do so. One of the nice things about this initiative is that it is in an a la carte format; therefore you can pick and choose what you like. All of you should have revived a preference survey and if you haven’t filled it out already please do so; it is waiting in your inbox! 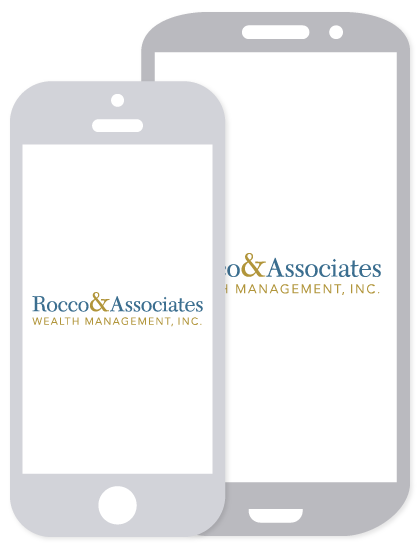 The articles that are included in this communication are carefully selected by the team here at Rocco & Associates and we strive to make them as relevant as possible in light of our clients’ needs and what is happening in the world around us. However, they are not and should not be seen as confidential publications. We encourage you all to forward them to a friend, neighbor or anyone else that you feel may benefit. Should they want to be included on our communication lists in the future, even if they are not clients, feel free to forward their email addresses and/or call the office to add them. There is also a link after all the articles. Some of this information is just too valuable to keep to yourself!